“The challenges of Euro-Latin American women – the Digital Agenda and Access to Markets” was the thematic of this related event. The objective is that economy and society take full advantage of what digitalisation offers. However, 47% of its population doesn’t have an adequate knowledge in the face of a future in which 90% of the jobs will require a certain level of digital skills. In both regions, European Union and Latin America and the Caribbean, the unequal participation of women in the economy is reflected too in the unequal access to internet. A new vision of development that must have the effective participation of Euro-Latin American women is the process of transition to the circular economy. A theme led by the European Union where the bi-regional relationship should not be exempt from it as well as its Action Plan. The goal is to think about the present to develop the future. A world without women in the labour market, in the digital world, in the access to the bi-regional market, is not desirable, and inequitable. Since 2010, Euro-Latin American Women’s Forum dedicates its actions to a better coverage of the female population in politics, in the economy, as well as to tackle violence against women and children. 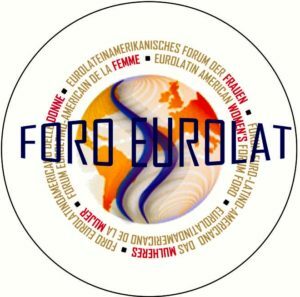 Chaired by the European deputy Elisabetta Gardini, Euro-Latin American Women’s Forum works to strengthen relations between the European Union and Latin America and the Caribbean with the active participation of Euro-Latin American women.